The theater arts program centers round the development of the following skills: creative writing, performing, evaluating, interpersonal communication, critical and constructive thought, problem solving, interpretation, judgment, discrimination, learning and research. 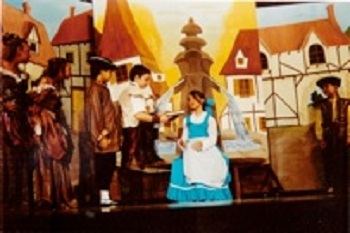 Ten facets that encompass the curriculum and enable students to achieve these skills are theater history, improvisation, play writing, acting, non-verbal pantomime, verbal communication, technical theater, theater management, rehearsals, and productions. The student will explore relationships and gain insights to the world around them. 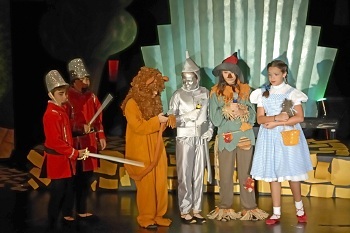 Students are encouraged to attend local and district workshops to improve their acting skills. 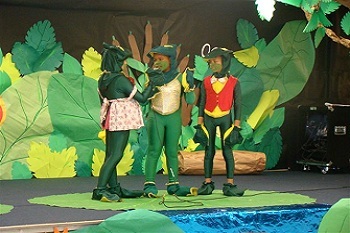 The theater students perform in venues within school and community, culminating with an end of the year theater production. Prepare and recite a monologue of their choice. Demonstrate a two person improvisation through a scene set up by the theater teacher to show creativity, imagination, characterization and interaction. Demonstrate articulation, voice clarity, projection, flexibility, and use of body expression/space. Demonstrate self discipline, appropriate attitude and ability to follow directions.